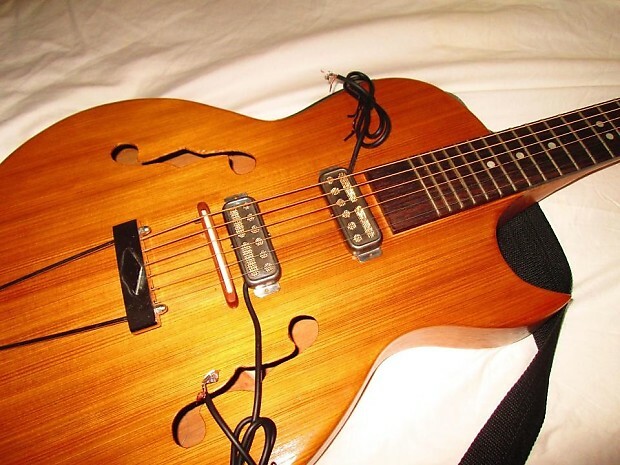 Listed by Victory Guitar & Pickup Co. The look and sound of foil pickups are back and more popular than ever! 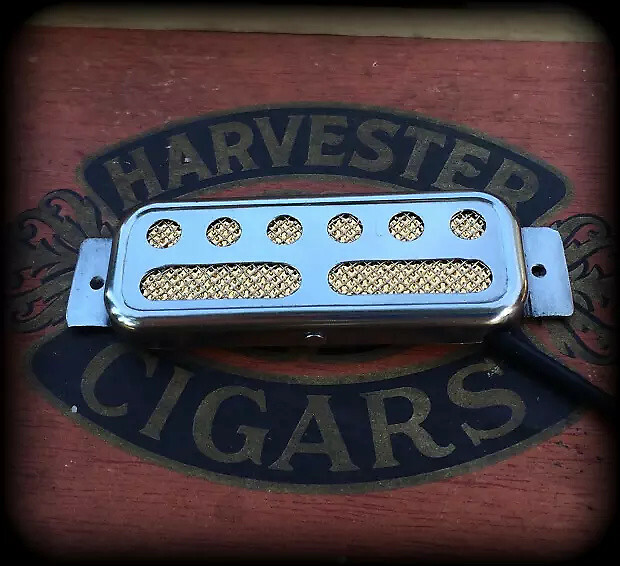 These pickups look great on an old Teisco, Harmony, or any project guitar. 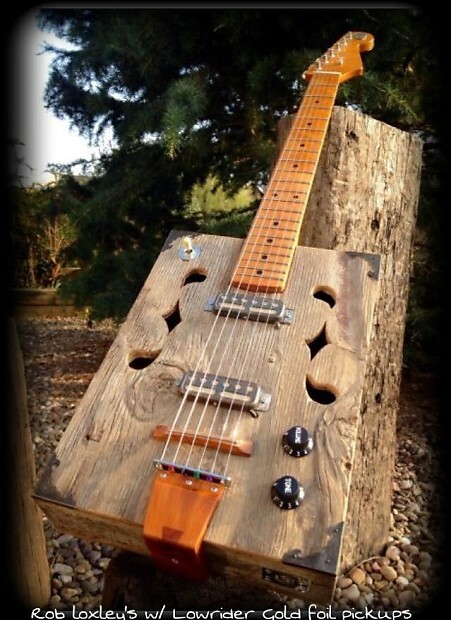 I even use my pickups on cigar box guitars with amazing results. Lowriders are also perfect when looking for a different sound from a guitar that you already have. New pickups can open up new creative and sonic possibilities. Heck, build your own version of the infamous "Coodercaster"! 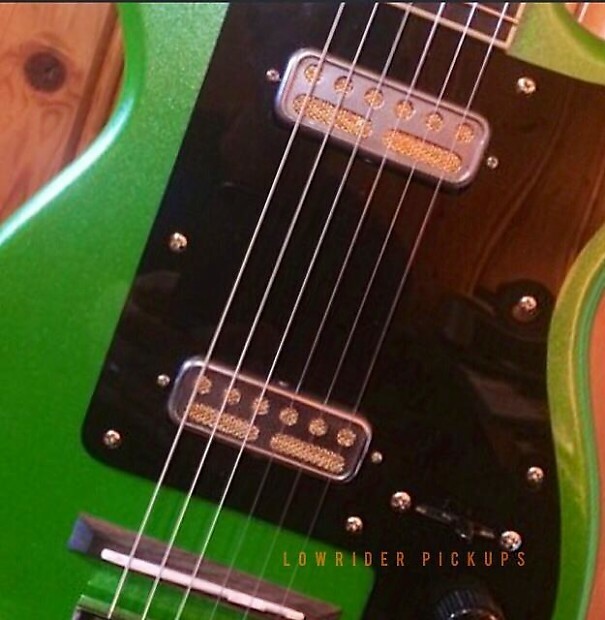 Lowrider pickups are a flat ferrite magnet, surface mount single coil pickup. They can also be mounted underneath with minor modifications. Character was important when designing these pickups. * for those who plan to surface mount, the pickup is exactly .34" tall. Please allow slight additional room for string movement. Each pickup has a vintage, hand made appearance. You are looking at a matched pair. Bridge runs around 5.15 ohms while the neck is wound slightly lower for better clarity. If you would like two pickups wound the same to save money on shipping(around 5 oms) just message me. Sale are for pickups only. Guitars and hardware are not included. Out of phase sound. Some folks love this sound! For others, it is not for their tastes. ( I believe Ry Cooder's guitar would be out of phase, but he chooses to play out of one pickup at a time, not both). Also, because of the way these are grounded, and any pickup for that matter, you can not simply switch wires to get the pickups in phase. Switching wires on these pickups will result in buzzing and feedback- the last thing I want you to hear from these beautiful pickups. Hope this helps clear some confusion. Now get out there and play!!! 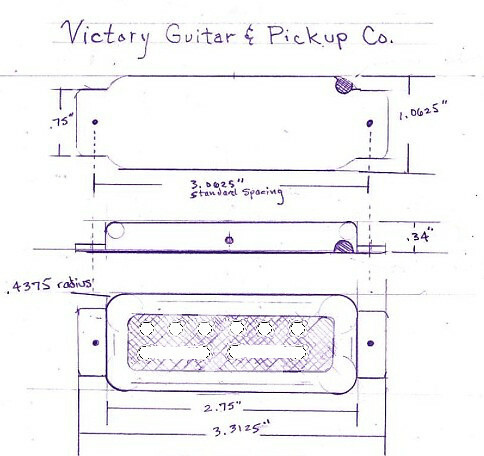 Victory Guitar & Pickup Co.